In light of Ron Howard’s forthcoming film-and-TV adaptation, revisiting the series now could probably be seen as a calculated attempted to renew interest. But as always with King, artistic concerns trump commercial ones: In his brief letter explaining the project, he describes how he found himself "thinking—and dreaming—about Mid-World again," and while he offers few details (“a severed head on a fencepost”; “a swamp full of dangers and terrors”), King’s enthusiasm is encouraging. Also encouraging: His promise that Keyhole will be shorter than books two through seven (though “quite a bit longer than the first volume”). We all know that prequels—especially ones that take place in the middle of stories, and are thus incapable of rendering any significant change on an already-completed narrative—are tricky to pull off. 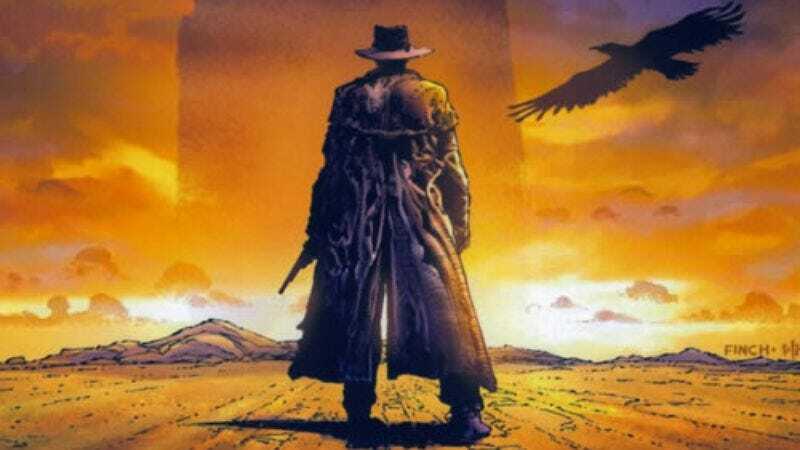 But given that some of us here still do a little dreaming of The Gunslinger and his dreadful, dying world ourselves, there’s reason to be cautiously optimistic.